Super Stack Spain starts tomorrow! Super Stack Spain is heading to Malaga once again with a ton of fun at Casino Torrequebrada this weekend. MainEventTravel is Super Stack’s Official Travel partner and can arrange fantastic hotel deals for all Super Stack events. 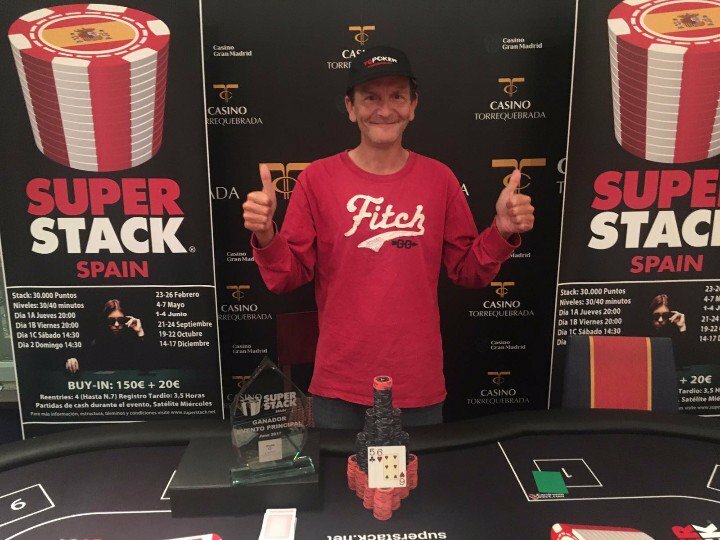 Norway’s Arnfinn Sudland took down the last event in at Casino Torrequebrada in Malaga for a lifetime best cash of more than €10,000. The tourney attracted 253 entries and generated a prize pool of more than €36k– and even bigger numbers are expected for this weekend’s tourney. So far, this year, Super Stack Spain events have attracted more than 1,000 entries combined. This weekend’s Super Stack Spain kicks off with Day 1a tomorrow at 8.30pm, with Day 1b the same time again on Friday. But if you’re short on time, don't forget you can fly in to Malaga on Saturday morning for Day 1C which starts at 4pm local time (with late reg open until 7.30pm). There’s even a Day 1d Turbo at 10.30pm on Saturday evening for very late arrivals. There are further Super Stack events across Spain throughout the year. Following Super Stack Spain - Malaga, then it’s Super Stack Spain - Costa Brava starting next Thursday in gorgeous Tossa del Mar. Super Stack Gibraltar will be back in August and November with events held on the amazing 5 star Sunborn Super Yacht Hotel, Resort and Casino. We have special offers onboard the amazing Sunborn Super Yacht with discounts of more than 10% on twin rooms, plus great rates for other hotels in Gibraltar or on the Spanish mainland a short distance away. Super Stack Scotland will be back at the Alea Casino in Glasgow in August and November.